Lisa Pollock is a unique Australian Artist located in Queensland's Hinterland and produces "Art from the Heart"
Birthday flowers at Campbelltown florist. 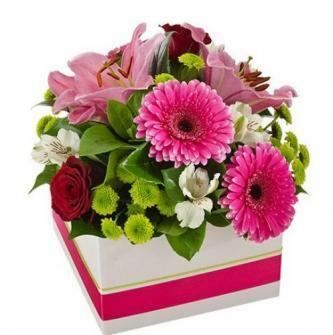 Buy birthday presents with Campbelltown flowers today for the birthday girl or boy. Displaying 7-12 of 31 results. Pretty in pink glass vase arrangement suitable for any occassion! Simple but effective! La Luna is a striking bouquet in shades of yellow, blue and purple and makes a statement. This soft and pretty, round pastle box consists of fresh blooms such as asiatic lillies, soft gerberas and carnations. It is made to impress. Serenade is a gorgeous mini box in striking bright colours perfect for any occasion. This ceramic arrangement is bright and fresh and suitable for any occasion, perfect to brighten anyone's day. Ivy Florist, the best Campbelltown Florist in Sydney NSW Australia. 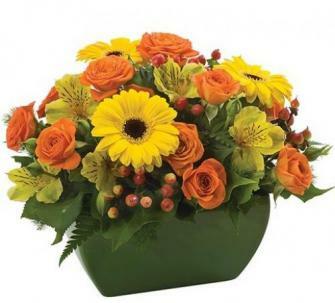 We deliver fresh flowers daily to the Campbelltown, Macarthur area and surrounding suburbs in Sydney. 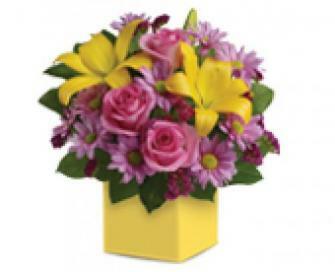 Flowers can be delivered anywhere including residential addresses, business workplace, hospitals and churches. Flowers ordered before 2pm can be delivered same day for FREE to the Campbelltown & Macarthur area. At Campbelltown florist we create beautiful floral arrangements for all occasions but most of all we specialise in wedding bouquets and corporate floral arrangements for small business venues and functions. If you have a big event like a wedding or a store opening, we can create unique flower master pieces to suit your tastes and budget requirements. Campbelltown florist only sources the freshest flowers from local Australian growers within New South Wales. At Campbelltown florist, we have two store locations in the Campbelltown area. One right in the heart of Macarthur Square called Ivy Florist and one in Narellan town centre called Flowers By Fax. At both stores, we stock the same flower range and gift products to make it convenient to you wherever you live within Campbelltown. Simply give us a call or come into one of our stores and tell us what you have in mind and one of our floral specialists will give you ideas and suggestions for your special occasion or event needs.